Your body naturally has a healthy balance of candida albicans, a yeast-like fungus that is found in your intestines, genital tract, throat, and mouth. The healthy balance can sometimes be upset, causing a condition known as candidiasis, which is an overgrowth. Candidiasis can travel throughout your body via your bloodstream and can affect the health of both men and women. Candidase from Enzymedica isa highly potent cellulose supplement that may help manage yeast overgrowth when combines with protease. People with candidiasis likely have large amounts of undigested fiber on their large intestines. Candidase helps break down and remove this fiber by providing cellulose to support optimal balance. 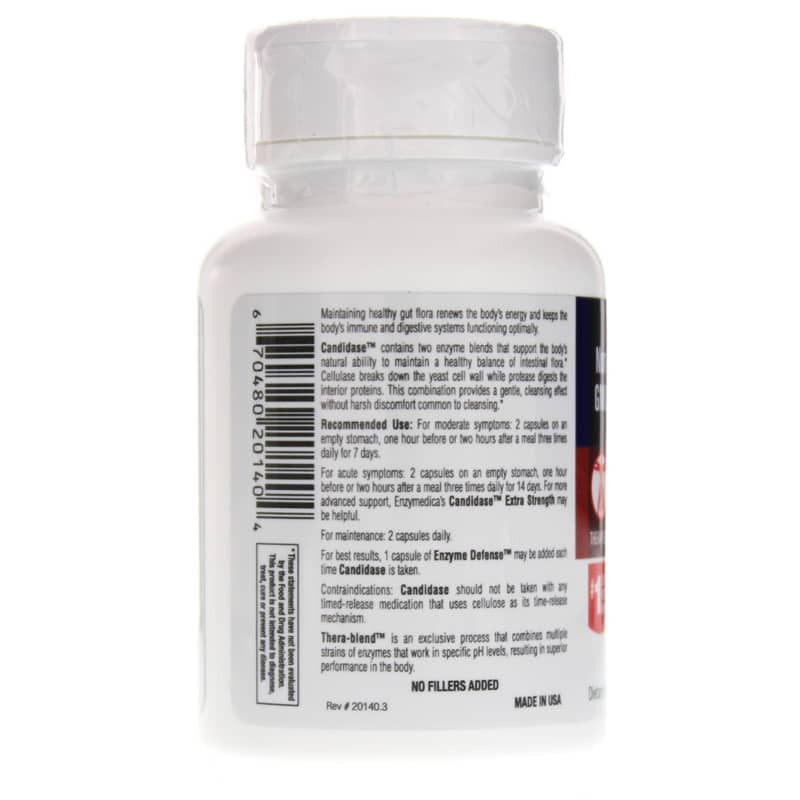 Make the choice to support your overall health by keeping controlling candida albicans. 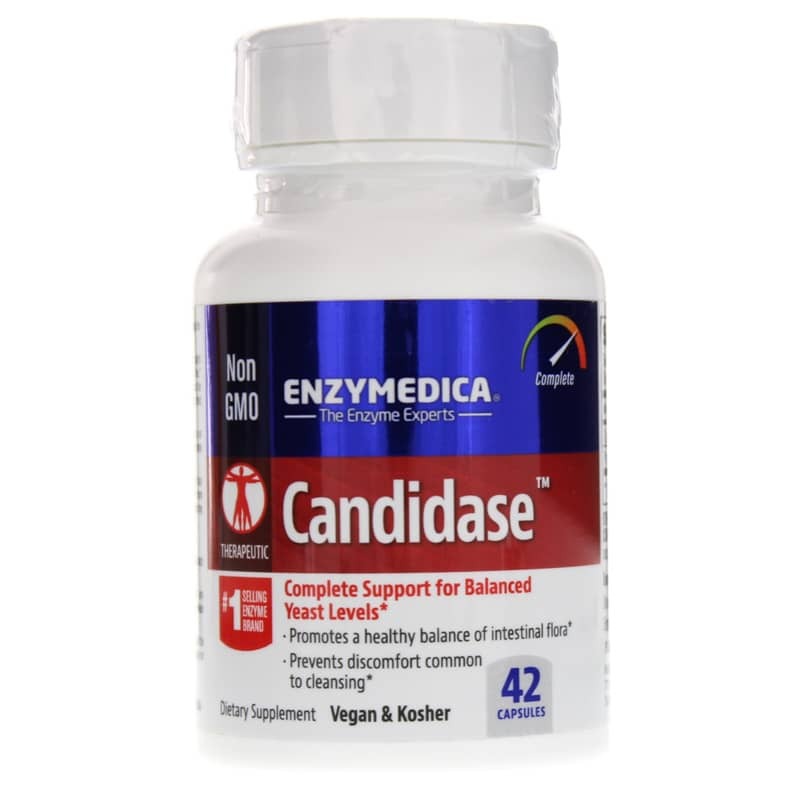 Choose Enzymedica's Candidase today to help address candidiasis and keep you on the pathway to optimal overall health and wellness. Contains NO: dairy, egg, preservatives, salt, sucrose, soy, wheat, yeast, nuts, corn, gluten, casein, potato, rice, artificial colors or flavors. Vegan. Kosher. Non-GMO. Adults: For moderate symptoms, take 2 capsules, 3 times per day at least 1 hour before or 2 hours after a meal for 7 days (for maintenance 2 a day). 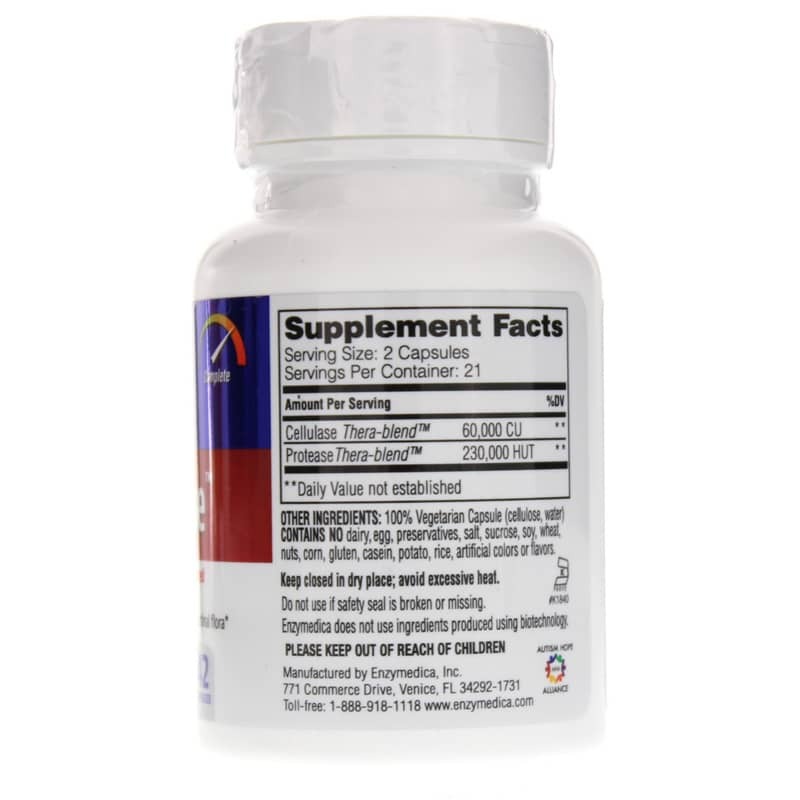 For acute symptoms, take 2 capsules, 3 times a day at least -+ hour before or 2 hours after a meal for 14 days. In extreme cases more time may be given. For best results 1 Virastop may be added each time Candidase is taken. Candidase should not be taken with any timed release medications that use cellulose as its time-release mechanism. Keep out of the reach of children. Enzymedica uses an exclusive Thera-blend process for its protease, lipase, amylase and cellulase. Each of these enzymes actually represents multiple strains that are blended to increase potency in varying pH levels. "I should like to again congratulate Enzymedica for their wonderful work on the discovery of the perfect formula for Candida. I am half way through my second bottle of Candidase and have now combined it with Virastop. Lo and behold, my digestive system gave me a pleasant surprise last night resulting in a wonderfully relaxed sleep! I cannot say enough about the wonderful relief I am experiencing for the first time in ten years! I am thrilled with the product and a very happy camper to be alive at this time to have access to a product which is nothing short of a miracle. " Candidase really works well and works pretty quickly.